Playful Tiger is a Morgan 321 that is moored in Chicago’s Monroe Harbor. 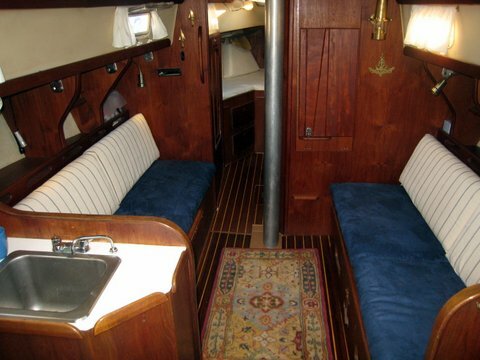 The Morgan 321 appeals to a broad base of the sailing population. 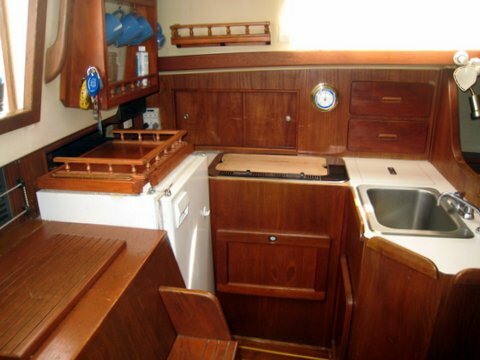 Built for comfort, with a large cabin for their length, they are very popular as liveaboards. 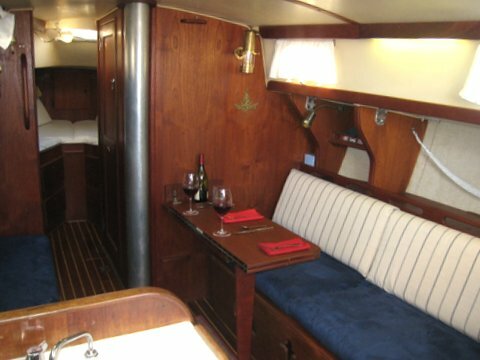 Heavy on the teak and holly, these boats are striking. On top of the fit-and-finish, Playful Tiger is a very stout and stable boat capable of handling a good deal of weather comfortably. She is a great all-around performer. 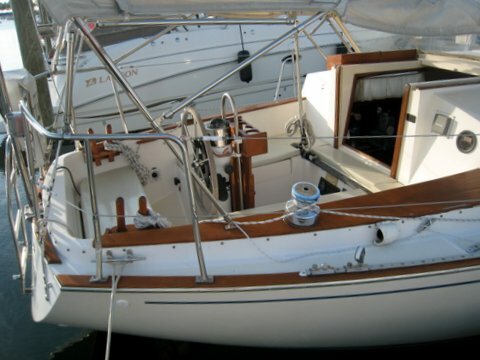 Playful Tiger has a running rigging arrangement that is simple and well planned out. All of the lines run to the cockpit making her a breeze to singlehand. 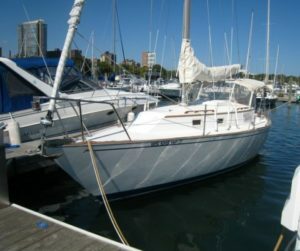 She is one of the easier to sail boats over 30ft that you will find. Her sail area is well balanced for her size and with her good clean and crisp sails, she moves well in a variety of wind conditions. 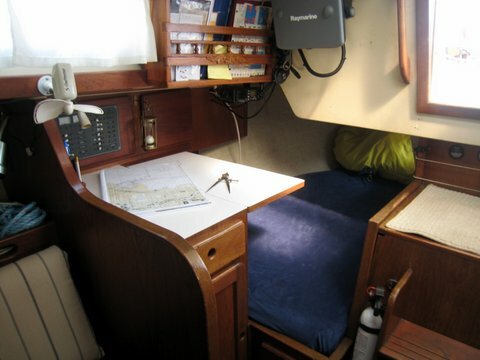 Equipped with a full range of navigational equipment, she also hosts an assortment of creature comforts, plus a Bimini to protect you from the sun and foul weather. Playful Tiger is a great boat for staying overnight on the can, or running to a nearby harbor for a change of scenery and night on the docks.